Southwest Louisiana is a land of stories. The uniqueness of an alligator crossing a highway...a Cajun fiddler playing to a two-stepping crowd...a child netting a big blue crab from a roadside canal...pirates invading a city to the cheers of its citizens - these images and many more are stories waiting to be told to the rest of the world. An itinerary will be developed for the writer, including help with accommodations, meals, attractions and interviews. Ground transportation can be provided by a bureau staff member. Guide services by a knowledgeable guide are available to assist the writer in maneuvering around the area. Digital images to accompany a story are available from the bureau&apos;s large photo library. Please review our Press Tour Guidelines and fill out our Media Assistance Request Form for customized help on your project. MARDI GRAS: THROW ME SOMETHING MISTER! The carnival season of Mardi Gras spans weeks of masked balls, parades and colorful merriment. More than 60 Mardi Gras krewes thrive in the communities of Southwest Louisiana. The tradition and pageantry of Mardi Gras are showcased year-round in the Mardi Gras Museum of Imperial Calcasieu, which boasts the largest costume collection in the South. The colorful revelry is well-suited for photography, and the festival offers many story angles. It&apos;s 180 miles of some of the most beautiful scenery imaginable - vast marshlands, Gulf beaches, alligators, birds and wildflowers. A driving tour of the Creole Nature Trail All-American Road starts in Sulphur and winds through Calcasieu and Cameron parishes before reaching its end-point in Lake Charles. Story and photo opportunities are as abundant as the wildlife along this magnificent trail that takes you through three wildlife refuges into the heart of Cajun trapping and fishing country. When you&apos;re located on major flyways, it&apos;s easy to see how you might be listed among the Top 40 Birding Hotspots by Wildbird magazine. Southwest Louisiana has the birds, and people are flocking to see &apos;em. The free Creole Nature Trail app is a great tool to have when visiting this outdoor adventure land. The app is available in English, French, Spanish, German, Japanese and Mandarin Chinese. Download the app by searching "Creole" in the app store. Centuries ago, pirate Jean Lafitte made the waterways around Lake Charles his inland hideaway. Legend tells us that he hid his fabulous treasures here, and people still search the bayous and riverbanks for Lafitte&apos;s pirate festival. Little did he know that his legend would inspire a major annual festival - Louisiana Pirate Festival! 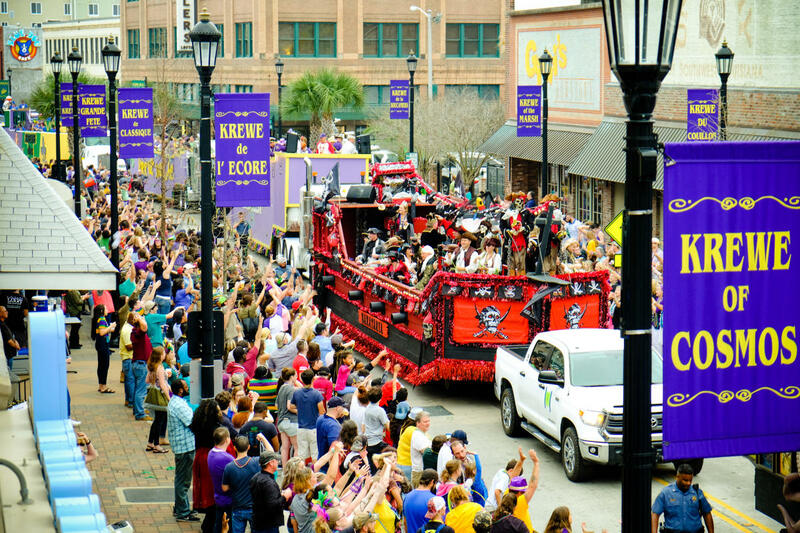 Modern-day pirates take over the city each May for two weeks of gleeful fun, featuring music, food and no-stop family events. Louisiana Pirate Festival has taken its place among Louisiana&apos;s top festivals. Southwest Louisiana is perfectly positioned to provide some of the finest fishing and hunting in North America. Freshwater fishermen have their choice: lakes, bayous, rivers and marshes offering unmatched variety and challenge. Excellent saltwater fishing is found in the Gulf of Mexico. Hunters find themselves in paradise when massive ducks and geese converge in Southwest Louisiana during their migratory journeys. Seasons for deer, wild turkey, dove and other game attract hunters to a smorgasbord of outdoor experiences. Outdoor writers, choose your subject! We have it all in Southwest Louisiana! Casino gaming draws millions of visitors to Calcasieu Parish, where you can catch live horse-racing at Delta Downs Casino & Hotel along with casino action. Melt into island time at the Isle of Capri Casino Hotel, right on Lake Charles. 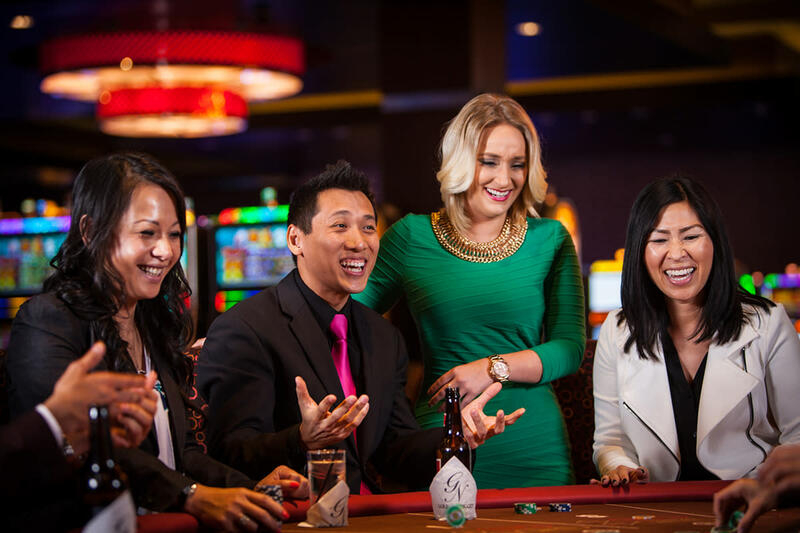 While L&apos;Auberge Casino Resort provides a unique addition to the gaming market with golf, spa treatments, retail outlets, a lazy river, unique dining outlets and more. The Golden Nugget Lake Charles adds to the premiere resort destination with an 18-hole golf course, innovative gaming, multiple Landry&apos;s restaurants, retail shops, meeting space, a beach, marina and more - the property is also added an additional 300-room hotel tower in the spring of 2017. Southwest Louisiana offers an array of culinary experiences to be had. Some of the authentic culinary adventures include organic, fair trade coffee from Acadian Coffee Roasters, Bayou Rum made from 100% natural Louisiana cane sugar and molasses, and flavorful, refreshing craft beers from Crying Eagle Brewing Company and Rikenjaks Brewing Company. 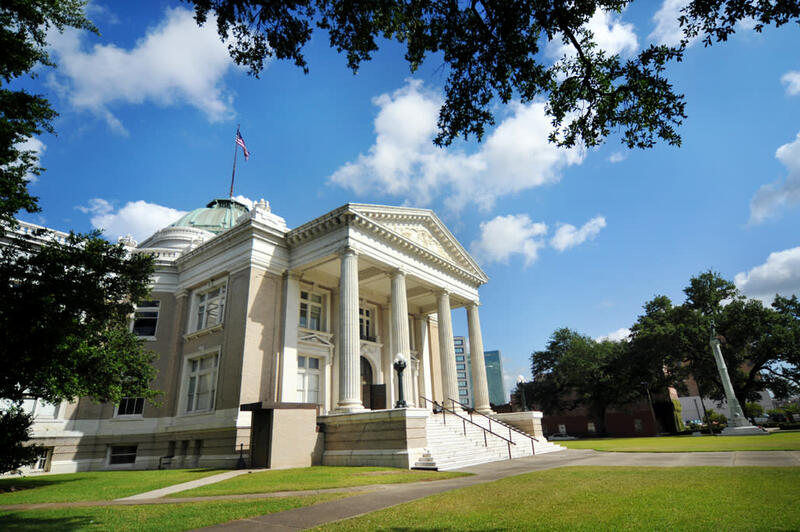 The romantic history of Lake Charles, involving tales of pirates and buried treasure, began with the arrival of the first French settlers in the 1760s. The lumber boom, fueled by the vast woodlands in the area, led to the rapid growth of the city, and the extensive use of solid pine and cypress in the construction of the homes in the historic downtown district. Enjoy a step back in time with a walking or driving tour of Historic Charpentier District with the free Lake Charles Historic App (available in multiple languages). Choose a 30 minute, 1 hour or a Calcasieu Ghost tour and experience one of the finest collections of Victorian architecture in the state, dating from the late 1800s. Since there were no architects in evidence here until the early 1900s, the structures reflect the individual characteristics of the carpenters (charpentiers in French) and builders. Also visit the meticulously restored, 1912 Central School Arts & Humanities Center, which houses the Mardi Gras Museum of Imperial Calcasieu, a community theatre, arts organizations and artists&apos; studios. The local music scene is rich with French-flavored Cajun and Zydeco music. The sounds are heard at clubs, dance halls, fairs and festivals such as the Cajun French Music and Food Festival in July of each year. Southwest Louisiana is the Festival Capital of Louisiana showcasing the stars of Cajun, Zydeco, swamp pop and country music at more than 75 festivals year-round. Many facets of a rich African American culture are seen in Southwest Louisiana&apos;s festivals, reunions, food and music. Each year, the culture is celebrated in the Black Heritage Festival, the Martin Luther King Coalition Festival USA, Mardi Gras, the Downtown Lake Charles Crawfish Festival, Boozoo&apos;s Labor Day Festival and many other events. Soul food, barbeque and Creole cooking lend an African-American flair to this area&apos;s unforgettable cuisine. Past and present African-American musicians such as BooZoo Chavis, Rockin&apos; Sidney and others have put Southwest Louisiana into the world spotlight. Want to dig into the history of Lake Charles under an early settler&apos;s 300-year-old oak tree? Did you know that the ingenious Frasch process for mining sulfur was first used in Sulphur, Louisiana? Ever want to go back to the early days of railroading? Why not drop your inhibitions and become a kid again in a made-for-children world of fascinating adventures? Ask for specifics about the Imperial Calcasieu Museum, the Brimstone Museum, the DeQuincy Railroad Museum, the Mardi Gras Museum of Imperial Calcasieu and the Children&apos;s Museum.